PORTLAND, Maine — The superintendent of the Long Creek Youth Development Center was put on administrative leave earlier this week, according to multiple informed sources. It was not immediately clear why Jeff Merrill II was taken off his job at the youth prison. Department of Corrections Commissioner Joseph Fitzpatrick said he could not comment because the situation is being investigated. 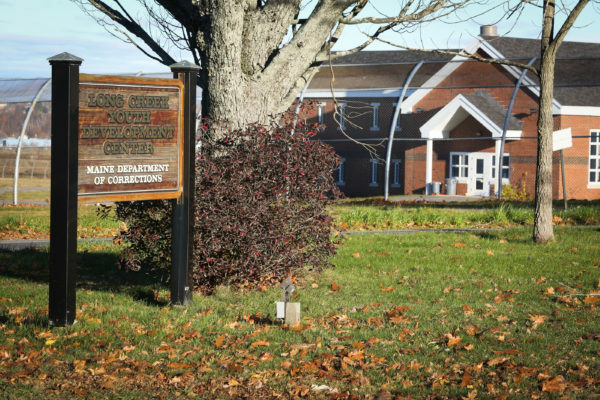 The news follows several months of controversy for the South Portland youth prison, starting last fall when a transgender inmate killed himself there. BDN Portland in February made public official reports on the persistent pattern of self-harm among young people at Long Creek and the prison’s inability to treat the severely mentally ill inmates it is increasingly required to house. Earlier this month, police said three 18-year-old inmates escaped from a Long Creek camping trip in Carrabassett Valley and stole an SUV before authorities caught up with them. Merrill, who has been superintendent at the youth prison since 2013 and worked in corrections for decades, did not immediately respond to a phone message and questions sent by email and over Facebook. Colin O’Neill, an associate commissioner of corrections, is presently overseeing the the prison. Last October, a 16-year-old transgender boy, Charles Maisie Knowles, hanged himself while on suicide watch at the prison. Shortly after his death, a girl also attempted to strangle herself and had to be rushed to the hospital, according to a report by South Portland prison’s Board of Visitors, a five-member body appointed by the governor and empowered by law to inspect and review the corrections facility. The report states the constant effort required to stop mentally ill youth cutting and strangling themselves was draining the prison’s resources and staff’s morale. Knowles’s mother has said the teen wasn’t getting the mental health care he needed because he was being detained at Long Creek awaiting trial rather than being a committed prisoner — an allegation Fitzpatrick has denied. An investigation by the Maine attorney general’s office found nothing criminally suspicious in Knowles’ suicide. The Department of Corrections hired Lindsay Hayes of the National Center on Institutions and Alternatives, a Massachusetts group focused on criminal justice reform, to conduct an independent review of Long Creek’s suicide prevention policy. The report was expected this month. The state police and Office of the Attorney General did not immediately return calls regarding the investigation. Correction: Due to an editing error, an earlier version of this story incorrectly identified Jeff Merrill II in a photo.